And this weekend (April 11 & 12) is no exception. Keep your eyes (and ears) open for sets that you can't hear anywhere else but on WV airwaves. 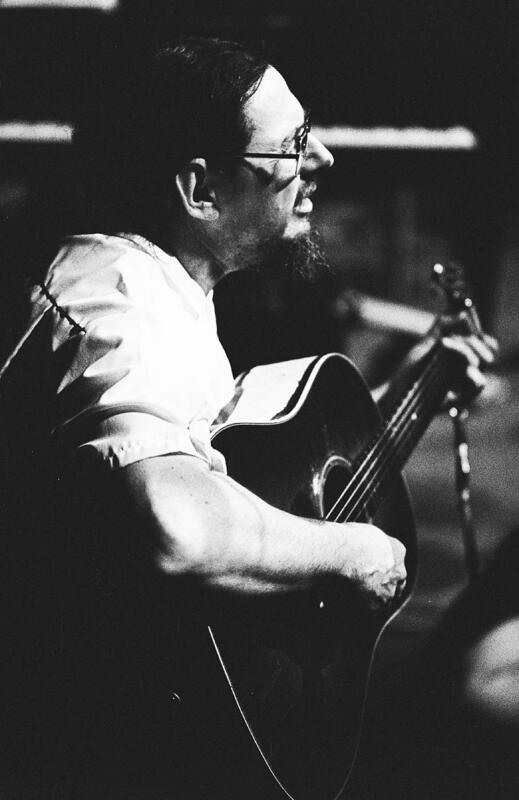 Norman Blake on Mountain Stage in 1988. First up is a show from March 20, 1988, recorded at the former Capitol Plaza Theatre (now known as the West Virginia State University Capitol Center Theatre). 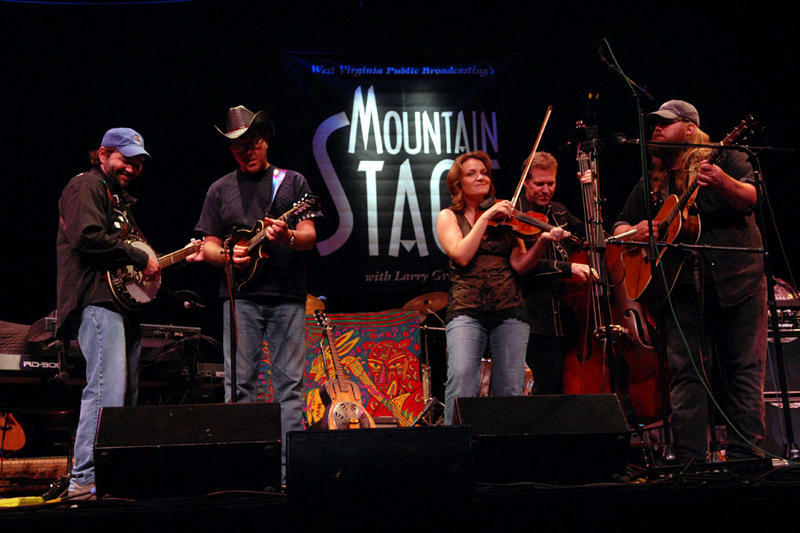 The show features Red Clay Ramblers (their first Mountain Stage appearance, as a matter of fact), Tommy Thompson (now a West Virginia Music Hall of Fame inductee), Norman & Nancy Blake (did you hear his recent chat with NPR's Fresh Air?) and Mick Moloney & Friends (who received the National Heritage Award, the highest official honor a traditional artist can receive in the United States). 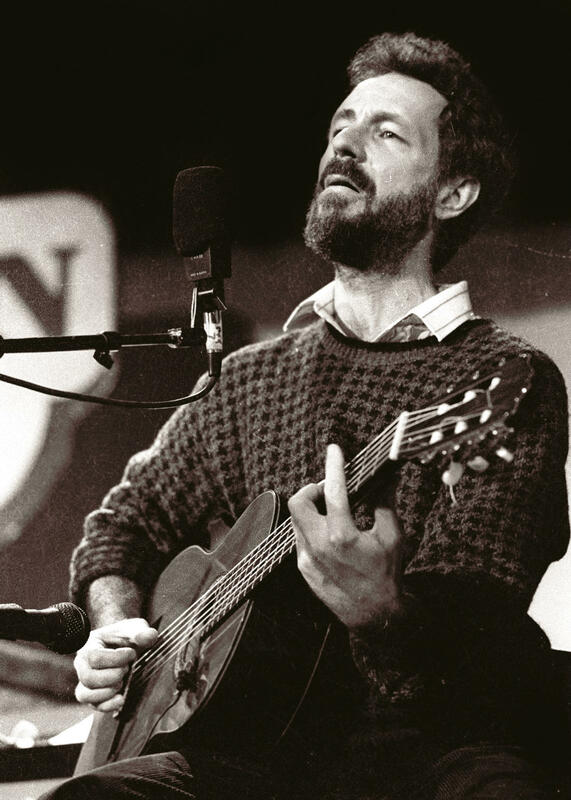 Jesse Winchester on the Mountain Stage in 1989. We’ll also hear an April 9, 1989 show that features such legendary acts as Grammy winner Clarence “Gatemouth” Brown, David Grisman & the Bluegrass Experience featuring Del McCoury and our old friend Jesse Winchester. It takes a whole lot of time and manpower to make Mountain Stage happen, but as the old saying goes, "Teamwork makes the dream work." We'd love to have you as part of our community, whether that's by connecting with us on social media (Facebook, Twitter, Tumblr and Instagram), signing up for our monthly email newsletter or pledging your support for Mountain Stage. 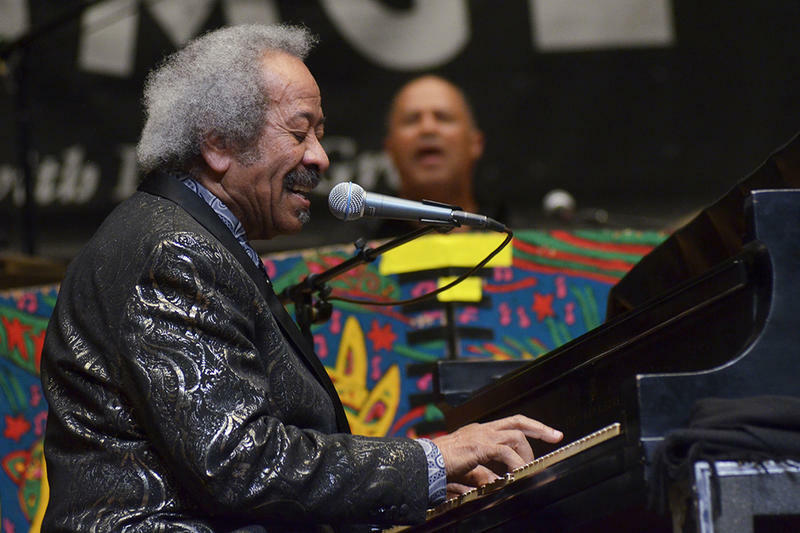 Singer, Songwriter and pianist Allen Toussaint was not only a New Orleans institution, but musician's musician who was responsible for many of the most popular tunes in the American songbook. 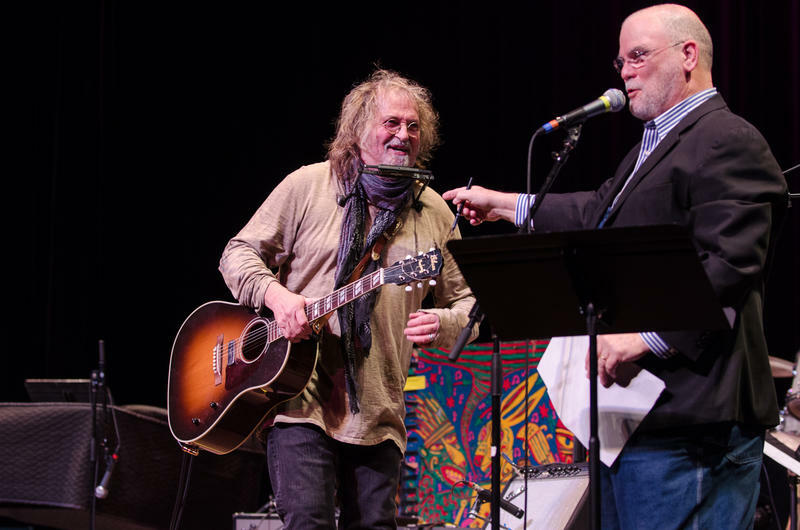 It's always a special occasion when Ray Wylie Hubbard returns to Mountain Stage.